Often times I hear how it's hard to get all the words to fit into line. Either they try to cut a few words out or they slip out of time. Sometimes you can switch a few words and the line still works but barring that, you'll just have to find a way to make the proper lyrics fit. You can't afford to slip out of time. So what can you do? Well it all comes to speeding up and slowing down your speech. Folks want to say it the way they would normally, but when that can't work then you'll just have to adapt your speech to the music. If it was always easy then everybody would be big recording artists. Still it's not natural talent that makes the big stars so talented. Mostly it comes down to practice. Try the same line over and over in different ways until you hit a style that sounds and feels right. Then practice it over and over until it comes out right every time you sing it. Your trip up a lot for a while but in time you'll get the words to fit. What makes an amateur an amateur it an unwillingness to do the repetitive work to work out the kinks. That's about it. 'This Old Guitar' is a challenge, mostly in the second verse due to a lot of syllables and not much time to get the words into the lines. Here is a perfect tune to practice this skill. 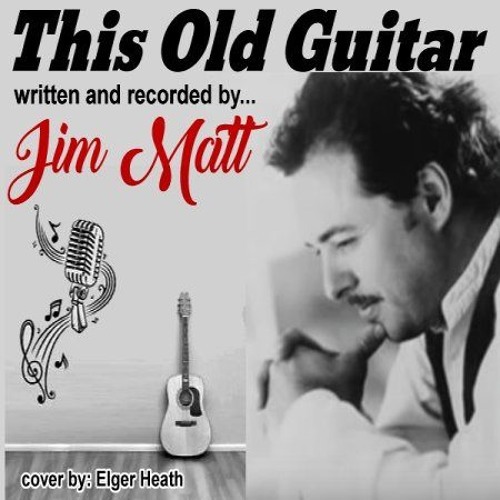 Written and recorded by Jim Matt in 1995, 'This Old Guitar' is a fantastic piece of country music that should be on every amateur Country Music musician's to learn list. It has been on mine for years but I never sat down to really work on it and a tune like this requires the work. Did I do enough? Probably not, but I do think that it came out not all that bad. Jim' version is quite different from my own and I wish I knew who I heard do it this way. Still I can't say why I do it this way, but to each his own. Make sure to check out Jim's recording. It'll help you figure out how to make the words fit. In the end, however, it'll have to be you that does the work to learn to sing it smoothly. Here is my cover of 'This Old Guitar'. I hope you will enjoy it.